The “Cooperative Boardroom” is a space that offers a unique and trendy option for any type of meeting or small gathering. We are located right in heart of the trendy Bay and Algoma area. 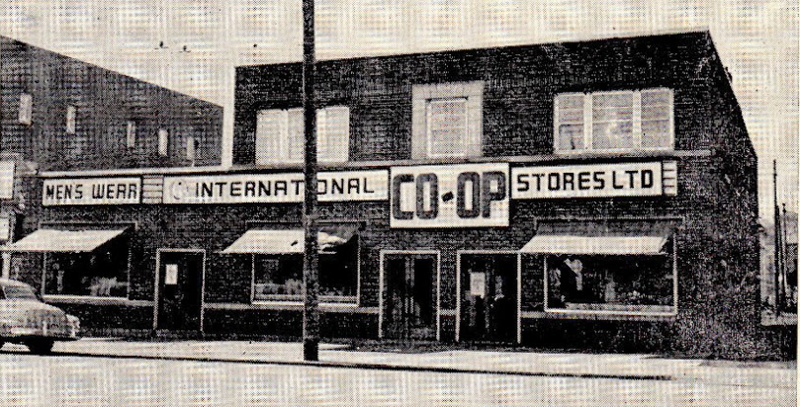 The Cooperative Boardroom is located at 176 S. Algoma Street South which was previously known as Thunder Bay’s International Co-Operative Stores Ltd. and even though time has passed our values that have always been present within these walls. The Cooperative Boardroom is a community driven shared space that brings everyone together. We have collaborated with local area businesses to help enrich your experience in the boardroom. Together we can work to promote the enlightenment of knowledge and education and much like the Cooperative store before us promote a collaborative space for the community of Thunder Bay.